Ensuring grain rejection does not happen at the all-important delivery stage is critical to growers. To ensure you spray with confidence, it’s vital to comply with pre-harvest registrations. What’s the difference between spray topping and crop topping? Spray topping refers to applying approved selective herbicides to crops in order to eliminate weeds without affecting the crop itself; and crop topping refers to using non-selective herbicides to sterilise weed seeds, which may speed up your crop’s ripening process. So while both processes relate to weed management, you need to use a selective herbicide for selective spraying (makes sense), and a non-selective to achieve crop topping. An important aspect about crop topping is that the timing is critical. Spray topping and crop topping are both crucial parts of the weed management cycle and play an important role in protecting Australia’s food supply chains and delivering world’s-best products to our export markets. What can I use during pre-harvest? Pre-harvest herbicide usage can be tricky as there are products which can be applied to some crops but not others – what’s registered for wheat should not be applied to barley; what is suitable to spray on field peas isn’t registered to use on canola. This can lead to sometimes costly and time-consuming research to ensure crops won’t face rejection. 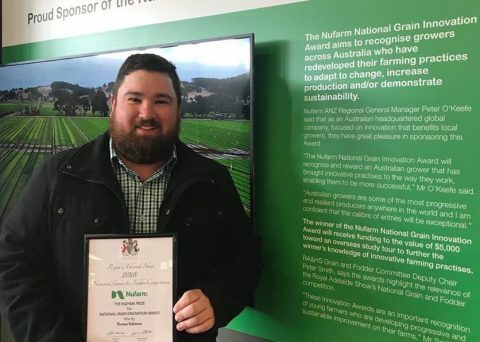 Nufarm, through extensive testing and trials, has confirmed application timings do not exceed MRLs (maximum residue levels). Our registration of weedmaster® DST offers growers a single product that delivers great results and has the flexibility to be used across a range of crops without compromising pre-harvest obligations. Nufarm’s weedmaster DST has the broadest range of pre-harvest registration approvals for any herbicide currently available in Australia. It can be used on canola, wheat, hay, oaten hay and silage, as well as lupins. It’s also safe to spray on cotton and roundup-ready cotton, chickpeas, lentils, field peas and faba beans. This is in sharp contrast to generic herbicides, which are only authorised to be used on cotton and lupins. As well as the versatility and variety of registrations that weedmaster DST can be used for, it also delivers strong results. It’s highly effective in reducing weed seed set, and is an excellent pre-harvest maturity aid. Not only this, but weedmaster is the only herbicide permitted for pre-harvest use in feed grade barley; another efficiency dividend for growers. Grain buyers, as many people would have first-hand experience with, are becoming increasingly demanding in the use of crop protection products. Many delivery sites now require growers to sign declarations that verify that only registered products have been used on the crop. With such a diverse range of registrations and efficiency gains leading to greater peace of mind, there’s a strong case to be mounted for using weedmaster DST this harvest. Using crop protection products like weedmaster DST takes the hard work out of your compliance obligations and allows you to focus on delivering a quality product to consumers here in Australia, and in our valuable export markets. Ensure that you only use products that are registered for use and don’t exceed the rates per hectare as stated on its label. Always observe the withholding or harvest interval periods specified and make sure that any statutory declarations – legal documents, remember – that you sign for are correct. 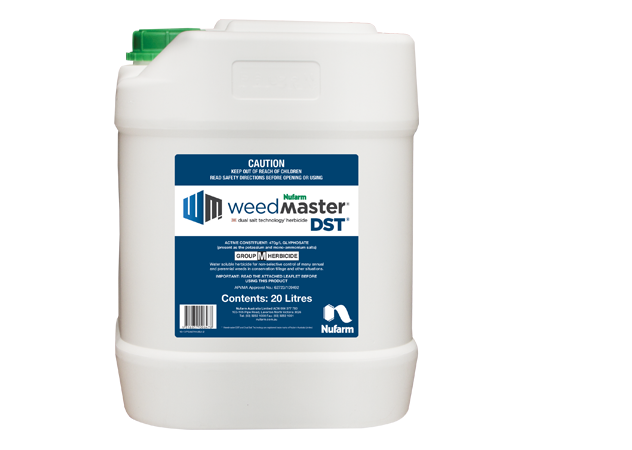 Want to know more about weedmaster DST for your pre-harvest applications? Visit the product page by clicking below.